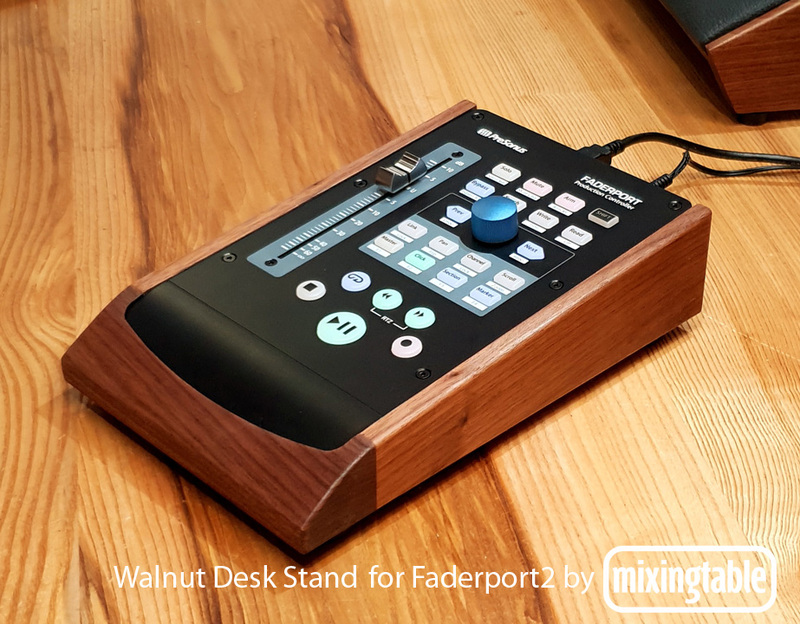 A beautiful Walnut desk stand for the Presonus Faderport2 DAW controller by Mixingtable. Prevents tipping when resting the weight of your wrist on the front of the unit. No assembly required. Includes four sturdy rubber feet. We make everything to order. Estimated shipping date 3 weeks from payment.